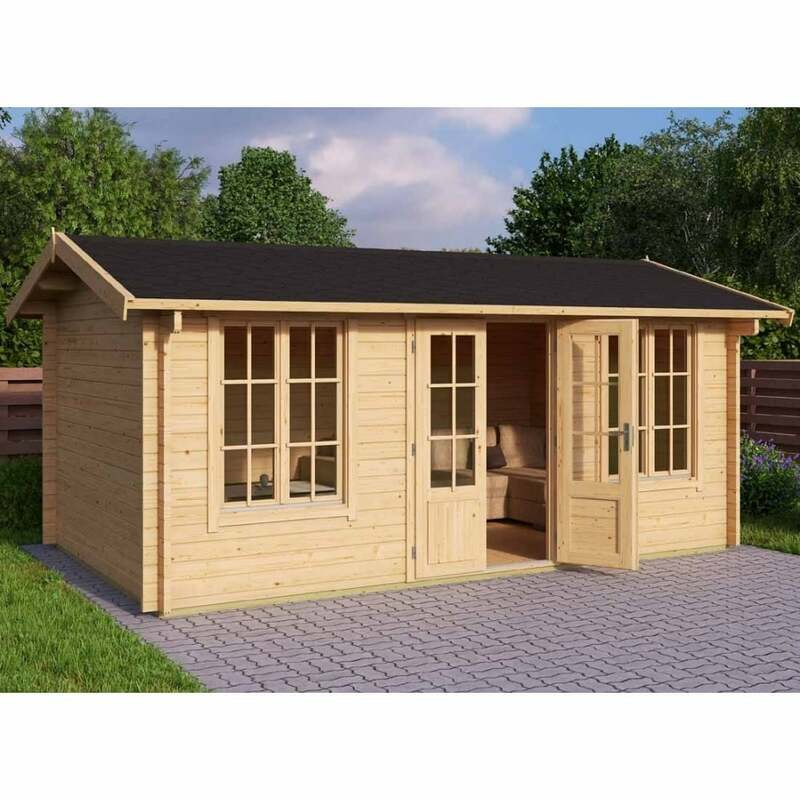 Norland Lancaster Log Cabin: The Norland Lancaster Log Cabin is effectively a 3m x 5m cabin with the windows and doors in one side meaning it is ideal to stand at the side of the garden allowing a view of teh garden itself. It features a low ridge which is specifically designed to comply with the UK planning authority’s lower ridge requirements where appropriate. These log cabins are manufactured using 44mm wall logs and are double glazed. The window bars shown on the above image can be removed during assembly if you prefer the larger open single pane style glazing. As an extension to your living space in the form of a garden office, a childrens playroom, an Outdoor entertaining room of simply a hobby room or an escape down the garden this building is quite simply ideal!